Random.org has spoken and the winner is Jackie Smith! 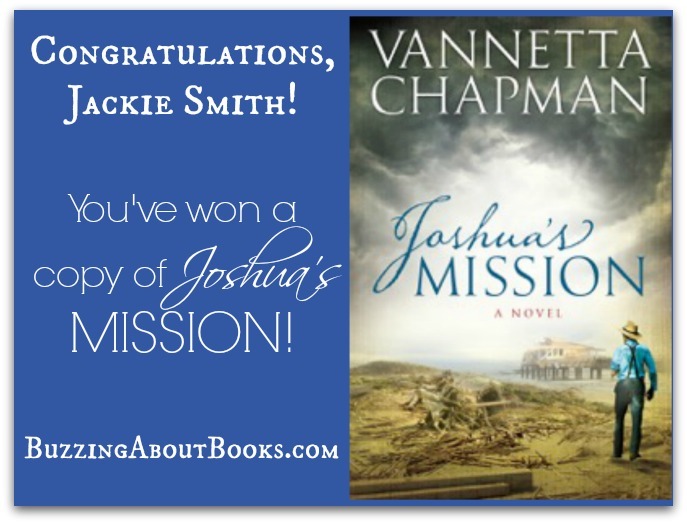 Thank you, Vannetta, for stopping by to visit and for offering a giveaway copy of Joshua’s Mission. Thank you, readers, for visiting and participating in the giveaway. I hope you’ll join me again for more giveaways, guest posts, reviews and more!